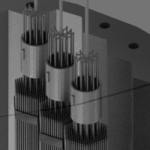 This law provides a definition and method of defining temperatures, perhaps the most important intensive property of a system when dealing with thermal energy conversion problems. This law is the principle of conservation of energy. 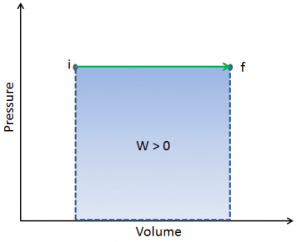 It is the most important law for analysis of most systems and the one that quantifies how thermal energy is transformed to other forms of energy. It follows, perpetual motion machines of the first kind are impossible. 0. You must play the game. 1. You can’t win; you can only break even. 2. 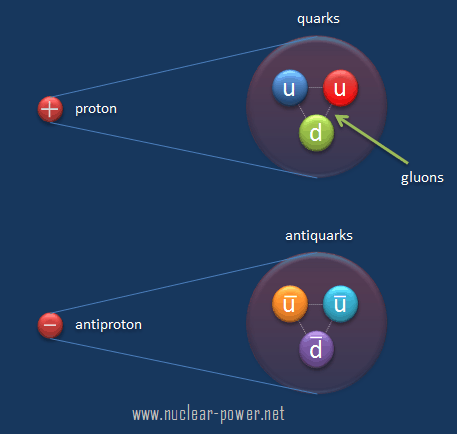 You can only break even at absolute zero. 3. You can’t reach absolute zero. 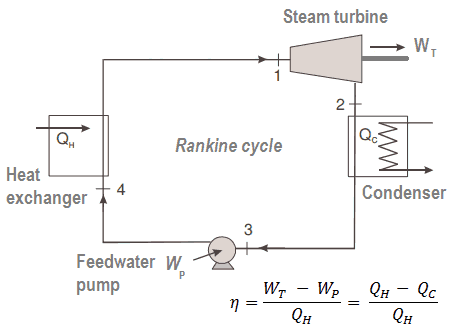 The Rankine cycle closely describes the processes in steam-operated heat engines commonly found in most of thermal power plants. Energy sources have always played a very important role in the development of human society. Energy is generally defined as the potential to do work or produce heat. Sometimes it is like the “currency” for performing work. One of the most wonderful properties of the universe is that energy can be transformed from one type to another and transferred from one object to another. In general, it is easy to produce thermal energy by doing work, for example by any frictional process. But to get work from thermal energy is more difficult. It is closely associated with the concept of entropy. For example, electricity is particularly useful since it has very low entropy (is highly ordered) and can be converted into other forms of energy very efficiently. 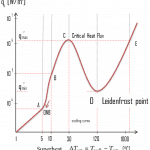 Sometimes, mechanical energy is directly available, for example wind power and hydro power. But most of our energy comes from the burning of fossil fuels (coal, oil, and gas) and from nuclear reactions. At present, fossil fuel is still the world’s predominant energy source. But the burning of fossil fuels generates only thermal energy, therefore these energy sources are so called “primary energy sources”, that must be converted to secondary energy source, so called energy carriers (electrical energy etc.). 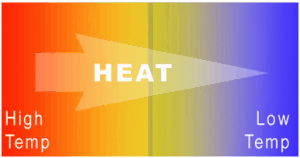 To convert thermal energy into another form of energy a heat engine must be used. 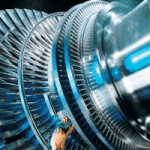 In general, a heat engine is a device that converts chemical energy to heat or thermal energy and then to mechanical energy or to electrical energy. Many heat engines operate in a cyclic manner, adding energy in the form of heat in one part of the cycle and using that energy to do useful work in another part of the cycle. 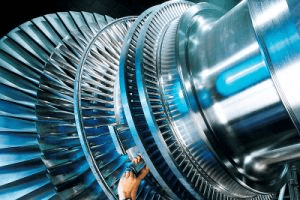 For example, as is typical in all conventional thermal power plants the heat is used to generate steam which drives a steam turbine connected to a generator which produces electricity. 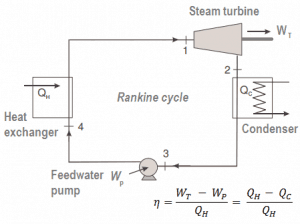 Steam generators, steam turbines, condensers and feedwater pumps constitute a heat engine, that is subject to the efficiency limitations imposed by the second law of thermodynamics. 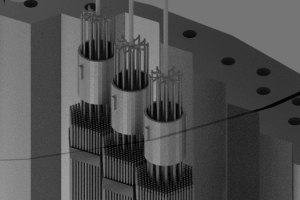 In modern nuclear power plants the overall thermodynamic efficiency is about one-third (33%), so 3000 MWth of thermal power from the fission reaction is needed to generate 1000 MWe of electrical power. 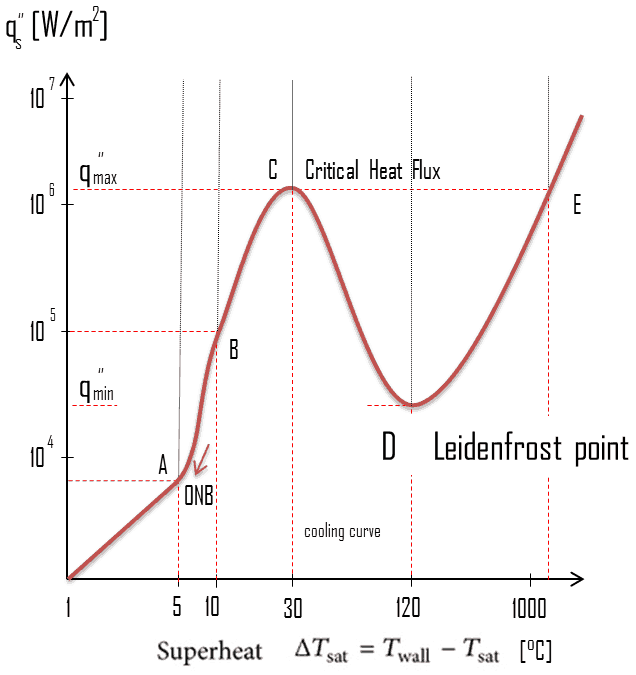 We define the thermal efficiency, ηth, of any heat engine as the ratio of the work it does, W, to the heat input at the high temperature, QH.